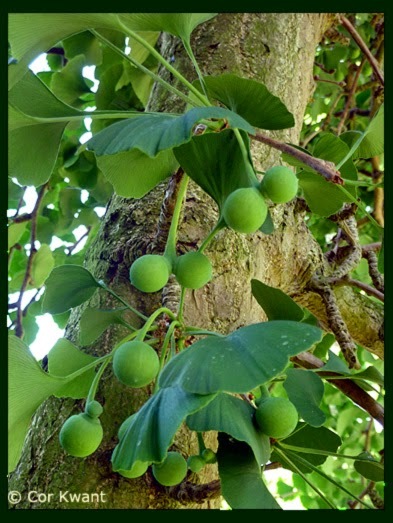 Ginkgo seeds (ovules) on tree of 1785 at Hortus botanicus Leiden, the Netherlands. This Ginkgo is a male specimen, but it also produces ovules. This dates back to 1935 when a female branch was grafted onto the trunk. I took this photo on June, 26.